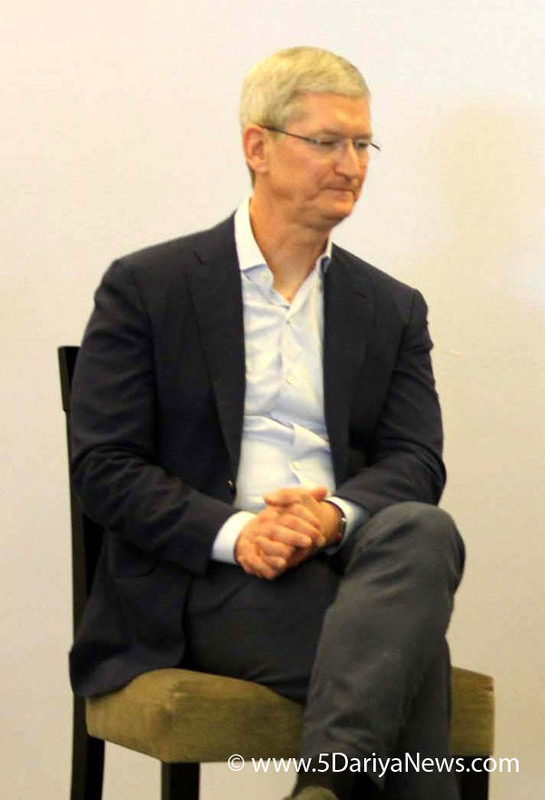 Apple CEO Tim Cook has said that being gay has been God's greatest gift to him, the media reported.On October 30, 2014, Cook became the first CEO of a major company to come out as gay.Although his sexual orientation had been widely rumoured beforehand, he had not confirmed it publicly.Cook said he was happy about that distinction as well as his decision. "I'm very proud of it," the Apple CEO was quoted as saying to Christiane Amanpour on Wednesday in an exclusive interview for her programme on CNN International and PBS.Being gay is "God's greatest gift to me", he said.Cook said he chose to come out publicly after receiving letters from children who were "going through being bullied, being pushed out of their homes, very close to suicide". "My strong view is that everyone should be treated with respect... I was public because I started to receive stories from kids who read online that I was gay," he said. Cook said he is a private person but ultimately decided that he was being "selfish" by keeping quiet about his identity when he could help people by coming out. "I needed to do something for them," Cook said. He wanted to demonstrate to gay children that they "can be gay and still go on and do some big jobs in life".Cook said that coming out as gay has given him empathy towards those not in the majority and has also helped him as a leader, he said. "I learned what it was like to be a minority," Cook told CNN. "The feeling of being in a minority gives you a level of empathy for other people who are not in the majority. "Prejudicial comments have also given him a thick skin, Cook said. "That turns out to be pretty beneficial from this role as well. "In the interview, Cook also shared his thoughts on the US President Donald Trump administration's policies on tax, trade with China and immigration.Cook applauded Trump's decisions on corporate tax cuts. He believes it will help "people invest more in the US".However, Cook disagrees with Trump's immigration reduction policies stating "immigration adds to GDP".